my pointless: always keer cleap. 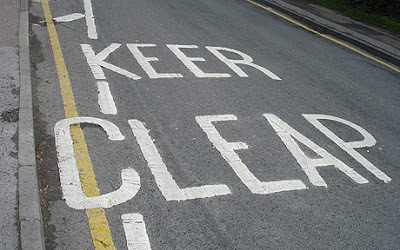 City workers in Royston, Hertforshire, England are a not-just-a-little embarrassed for misspelling "Keep Clear" on a city road last week. The large white letters read KEER CLEAP. Remarkably, the guys who made the error didn't notice. They simply picked up their equipment and moved on to the next job. The mistake was first reported by a 39-year-old dyslexic plumber, Paul Brett.